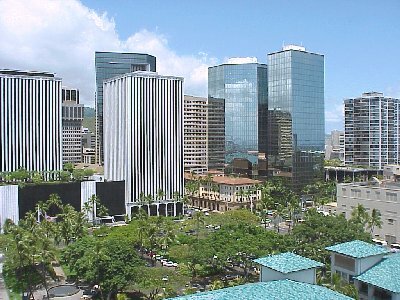 Pacific Business Services, Inc. (PBS) is a leading full-spectrum provider of solutions for the public and private sectors in Hawaii. We are a 33-year old Hawaii-based technology firm committed to implementing high-quality solutions that provide our customers increased business performance and growth. Project Management - Request for proposals; infrastructure design; general, cutover and construction scheduling; network, cabling and move planning; WAN/LAN moves and facility moves. Transition and Conversion - Preliminary Planning, Inventory & Assessment. Rollout and Transformation Management - Pre-upgrade preparation, develop baseline configurations to meet strategic plans, purchasing and installation of hardawre, network, software, licenses and interfaces, automated deployment, renovation and relocations, post rollout analysis, facility and cabling. Successful projects with minimal disruption to existing operations. Desktop Technical Support - Provide technical support for all lifecycle phases of a system--initial planning, installation, end-user support and troubleshooting, re-deployment and de-installation. This includes custom software design and programming. Assist management with strategic planning to evolve to a Customer Focused Organization. Help project teams and managers initiate projects effectively. Conduct on-going reviews of intermediate and final project deliverables. Assist analysts and developers in producing analysis and design specifications.